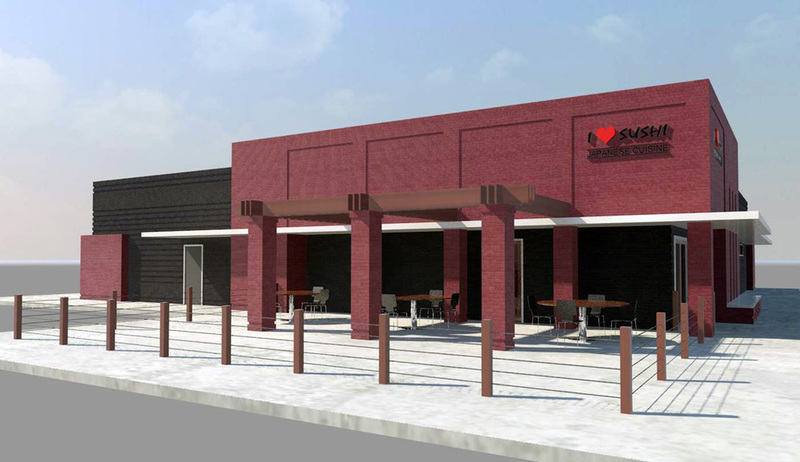 Aho Architects recently completed the design for the second location of the I Love Sushi restaurants in Huntsville. Construction began in the late Fall of 2012. This 6,000 s.f. 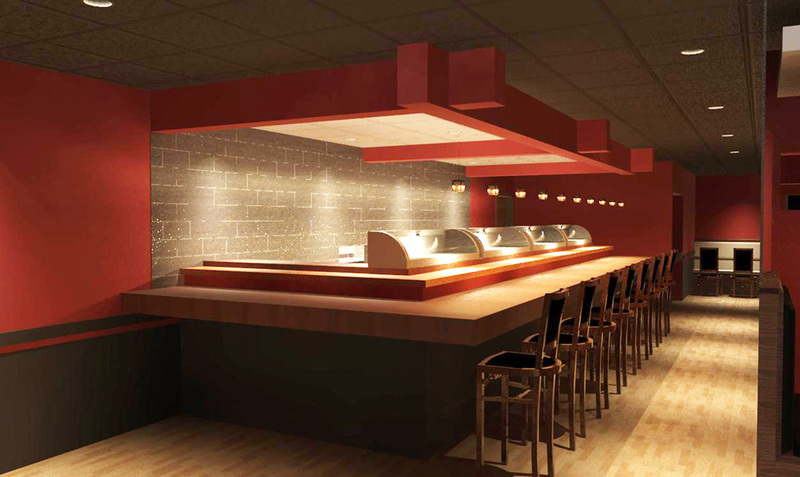 restaurant is the first free-standing location for our client. 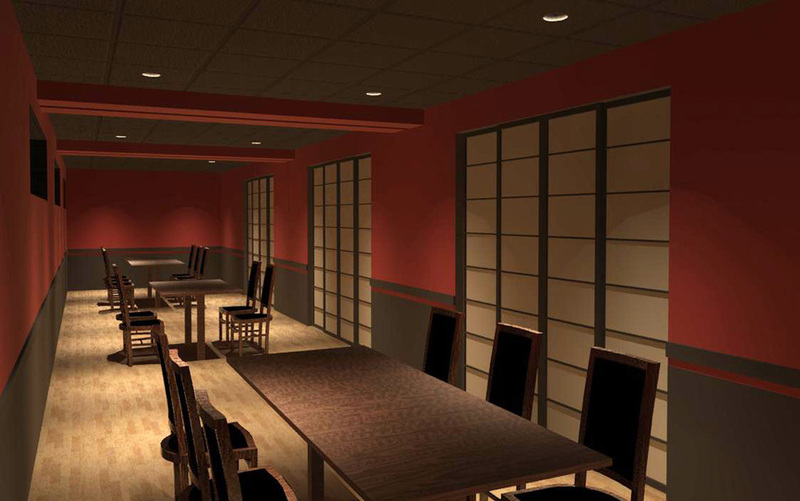 The restaurant features a bar, sushi bar, and indoor, private, and outdoor table-service dining areas.